The Royston trip was quite an adventure. Once again the geometry, drawn in advance, was to be confirmed in the usual serendipitous ways. Looking at the map before travelling I was attracted to the following points. 2. The church at the village of Wendy, the area there having links with the Knights Templar although the map showed the church was slightly off my line, by about 150m…yet knew I had to go….It was later that I would realise why. Denny Abbey and Royston Cave I had visited a few weeks earlier so was not a priority this trip. 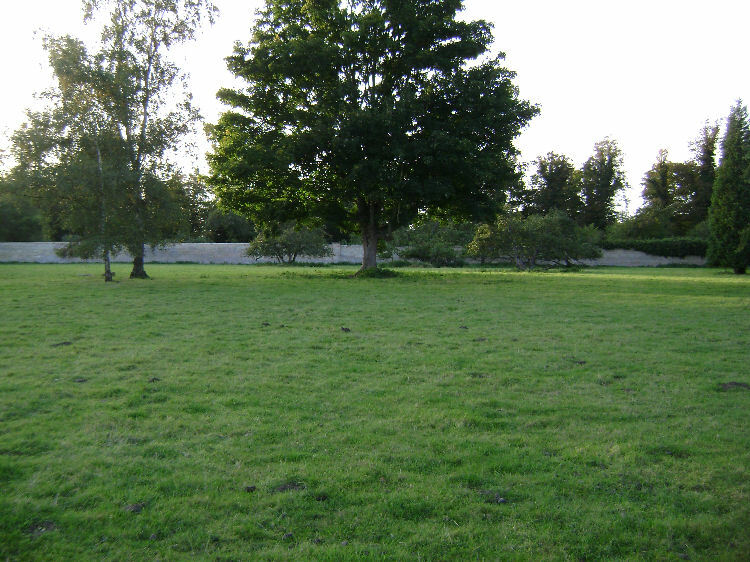 Both of these sites sit on the main axis and will have their own article in the Royston section of Templar Mechanics. To start with the overall geometry took up a large area and there looked to be no 5.15 mile circle in sight, the initial circles and main axis expanding far beyond the 5.15 mile boundary. Only when it was completed and the acetates were placed over the map did it reveal itself. The last circle discovered at the centre of the geometry hitting the 4 bottom penta legs measured 5.15 miles across. 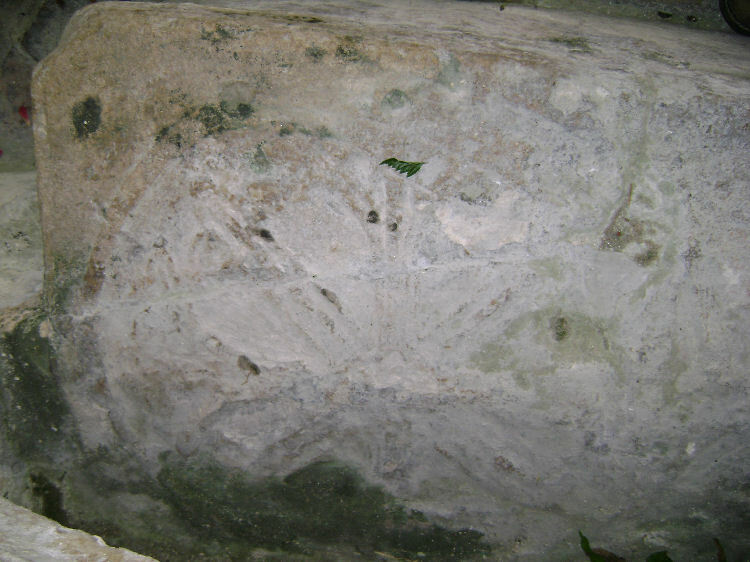 As well as touching 4 penta leg points the circle passed through 2 churches, one situated on one of the penta leg points. The 5.15 circle also went through the important Magog Hill site. Limepit Hill also marked the opposite penta leg /5.15 circle convergence point on the same penta. The Royston geometry is completely balanced mirrored along both main axis. N/S Axis Denny Abbey , 2 churches , Money Hill and Royston Cave. E/W Axis has 5 churches……..one being the church at Yelling. 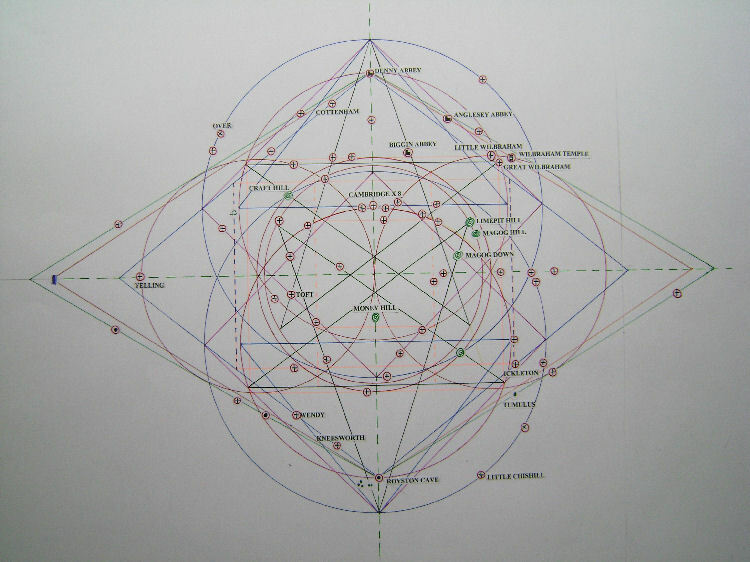 Consisting of two interlocked extended pentacles, 2 51.51 degree Gp triangles, 2 squares, 8 circles, 2 rectangles. Royston Junction is situated at the meeting of the ancient tracks of Ermine Street and the Icknield way. Temple Bruer also lies just off Ermine street. Royston cave is also situated on the St Michael Ley that has St Michaels Mount, Glastonbury Tor, Stonehenge, Avebury, Temple Rockley and many other ancient and notable sites of interest on the alignment running from the tip of Cornwall to the Norfolk coast. Holistic GP 51 .51 triangles are present marked in blue and denote the largest outer circles, having 11 churches in total on both the circles circumference and two major hills ,one being Craft Hill which I have marked on the graphic above. Craft Hill is situated where the larger circle of the South penta meets a main penta line….see graphic. Two interesting squares are formed from the top and bottom extended penta arm points. 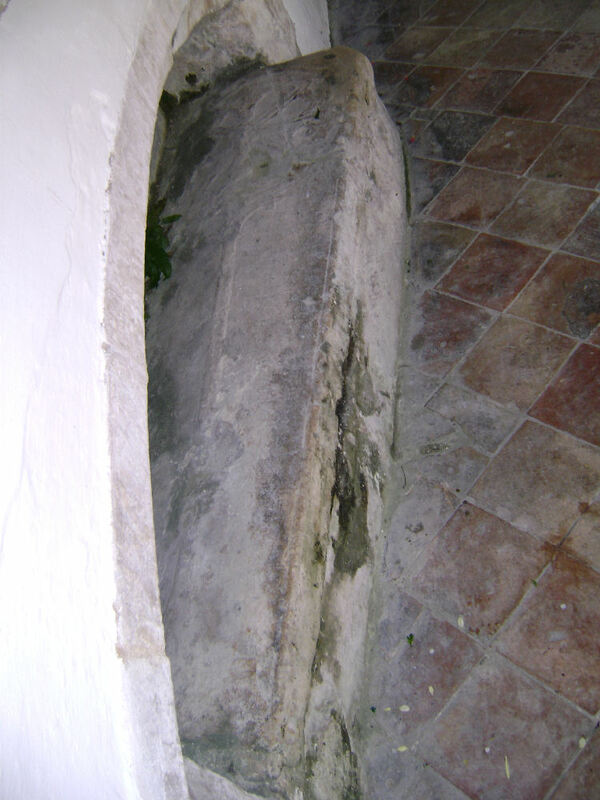 - The square’s corner point into the top and bottom penta points. The squares are drawn in red on the graphic. It can also be seen that the short penta arms touch exactly where the circle and the square cross….this happens at all 4 points of the short penta arms. One of these square / circle / penta arm convergence points can be found at the Great/ Little Wilbraham point . It would be interesting if the lane where this penta arm comes to meet the church was called Angle End ?.........At the meeting of the square and the circle and also the very tip and end of the penta angle arm….please read on. Royston and Denny Abbey geometry locations mark the same opposite positions within the mirrored geometry, being spaced equally from the centre axis crossing point. Cambridge itself sits right in the middle of the top penta. 8 churches within Cambridge are involved in the geometry. The central position within the penta would suggest its importance as a place of influence through learning. As we arrived at Yelling church a lady caretaker had also just arrived to clean inside….She told us the church is normally locked, however if we wanted to look inside she had the key and we could….perfect timing ! 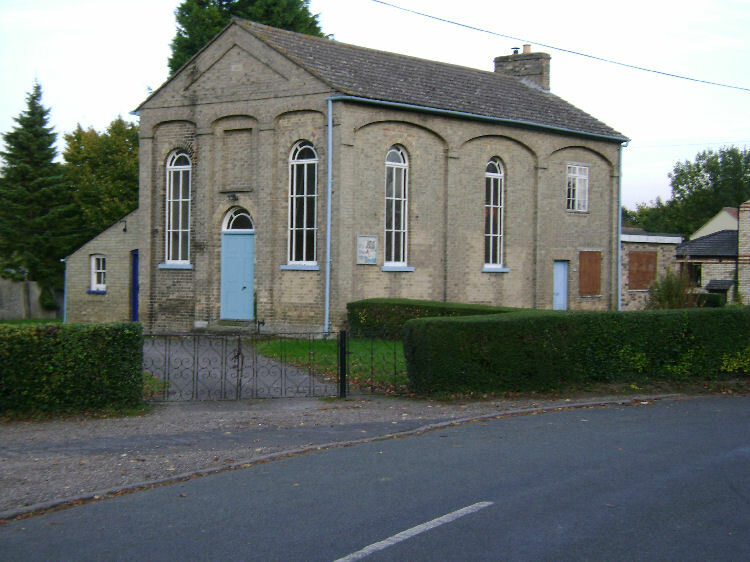 The church at Wendy is easy to find and caught our attention as soon as we passed it, slightly disappointing it could be seen to be a recently modern Methodist church. Driving beyond the Methodist church, which I already knew was slightly off my line, I pulled into a small lay-by to check out of interest how far we were off the geometry. Unknowingly we had stopped on the line itself which was also marking a notable turn in the road – Landscape geometry often correlates with sudden changes in direction of a public right of way as well as major junctions of paths, roads and track ways. From the car I glanced over to my left and saw a green area with several humps and an undulating surface. Feeling this to be another nudge to investigate further, and being situated on the line it was worthy of further investigation. It could be clearly seen to be the site of an older church which was no longer standing, although its outer wall foundations could still be discerned. The church would originally have been situated exactly on the line of the geometry but wasn’t marked on the OS 1:50000 map. 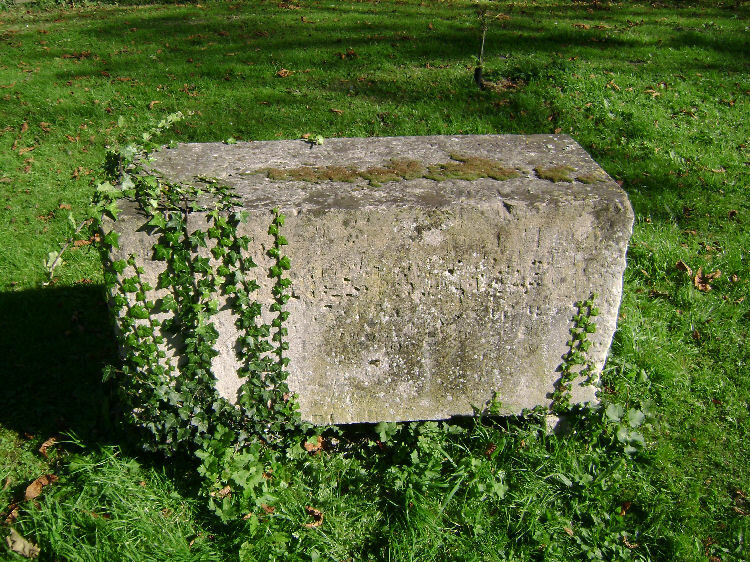 Venturing into the old church grounds we found the position of the Altar stone noted by a large stone block and engraved ….pics below. Top of south Penta arm . 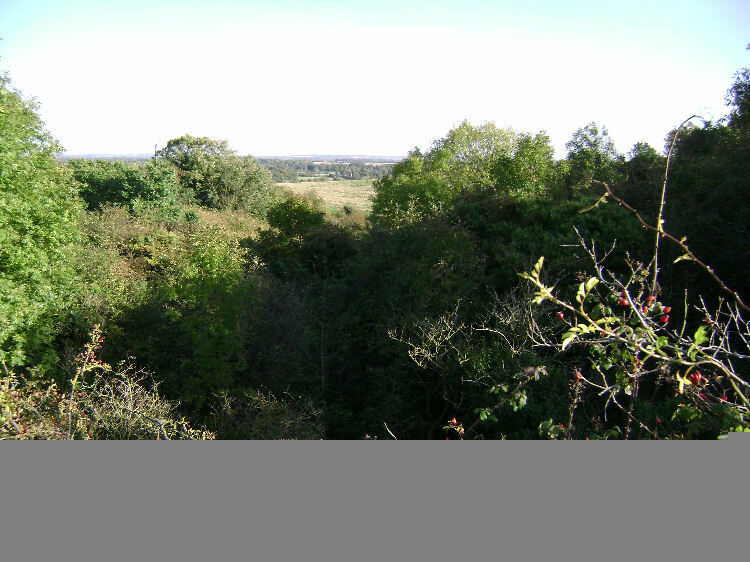 The point goes beyond Royston and into the Heath, a substantial elevated land feature with many earthworks in the immediate area, an active colourful past and an old jousting haunt of the Templars. Tumulus are marked as dots on graphic, some of the earthworks are located on the main penta line before merging at the point…see graphic . 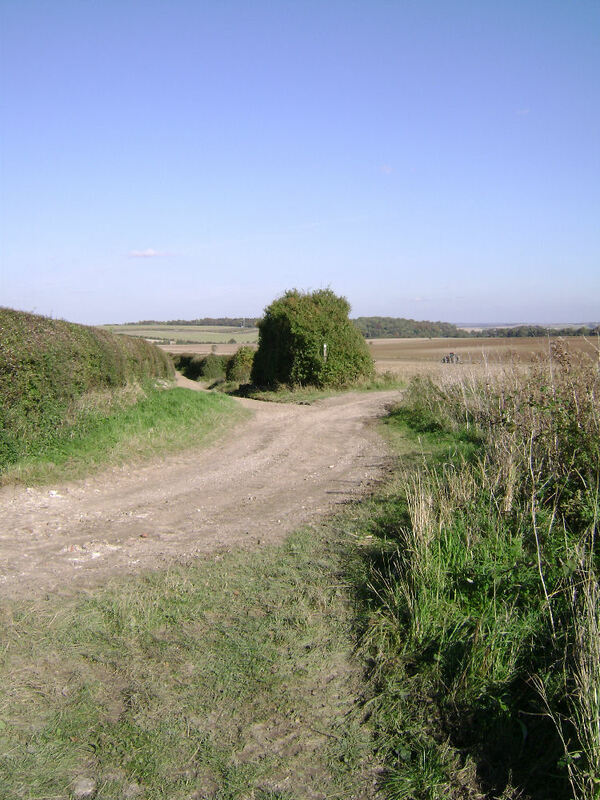 The 1:50000 OS map showed a crossing of tracks at the penta point hitting also the ancient track called Icknield way. The map indicated that we could walk near to the penta point although the last section would involve leaving the public right of way and walking along a farm access track. Having come all this way I was willing to explain to any farmer that approached what we were doing if asked. 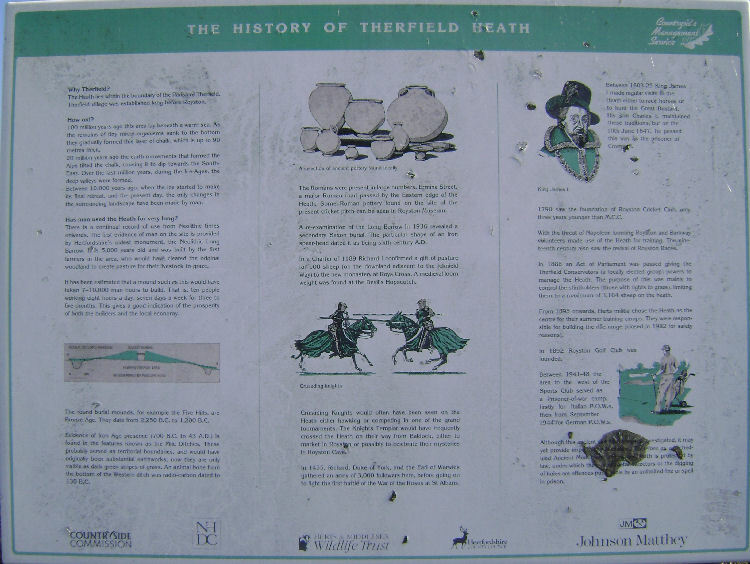 Therfield Heath was very quiet and the only human activity of note was a few tractors and a vehicle parked near our point of interest. Dowsing the meeting of the trackways showed a still point at the very centre where the tracks converged which marked the top arm of the penta. The farmer looked bemused at our dowsing antics making 3 flybys in his Range Rover before deciding to stop and ask us what we were doing. The farmer turned out to be very interested in the phenomena and receptive to the idea in theory, seeing it all as harmless, if somewhat eccentric. As it turned out he had something for us. He informed us that nearby a major earthwork had been identified from aerial pictures not far from our penta point and that archaeologist had been to the site to investigate further….he then showed us the field that had created the initial interest. Sensing his open approach I conversed with him about the landscape penta dynamics and the other areas involved locally . 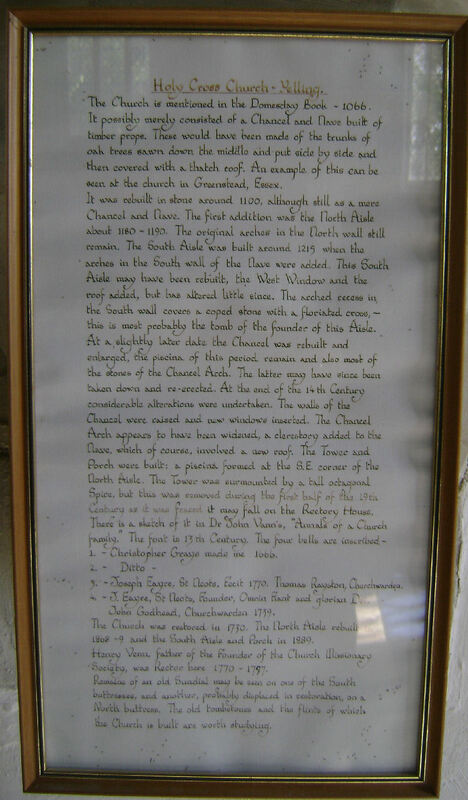 I mentioned the Templars involvement at Great /Little Wilbraham…he then replied he played Golf there! Unknowingly the farmer was interacting at two arms of the same penta in his everyday life…..he then told us his house was situated on the Greenwich Meridian and that the time line went through his front room!..it also goes very near to Royston. Originally the time line was situated in France, following the old French time line south it passed through the Rennes le Chateau penta, which incidentally has features in common with the Royston and Temple Bruer pentas which will be detailed in a later article on Templar Mechanics. Finding fun in all the synchronicity the farmer offered us a ride back to the road where our car was situated…..we had convinced him we were not part of any new EU directive and so let us pass peacefully on to our next point. 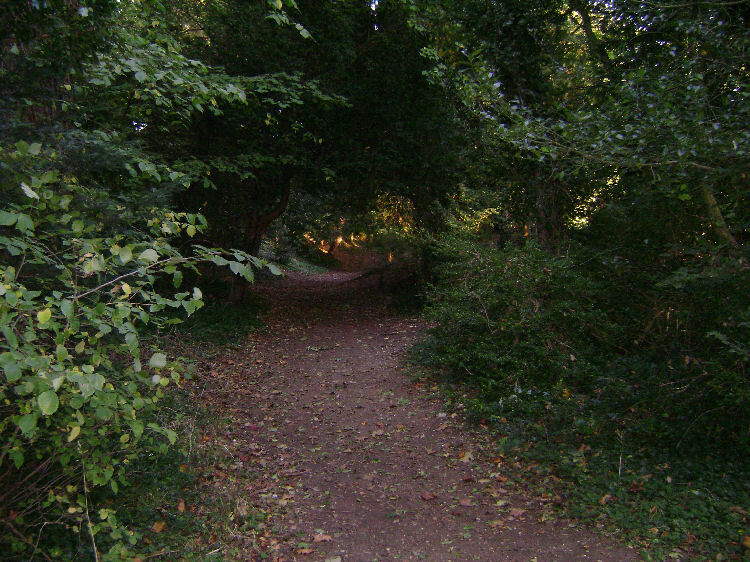 Magog Hill and in particular Wandlebury ring held a surprise in the reaction of the pendulum while dowsing. Walking ‘The Ring’ 4 times the pendulum spun completely out of my grasp, having to recover it from the undergrowth. This has never happened before at any other site. 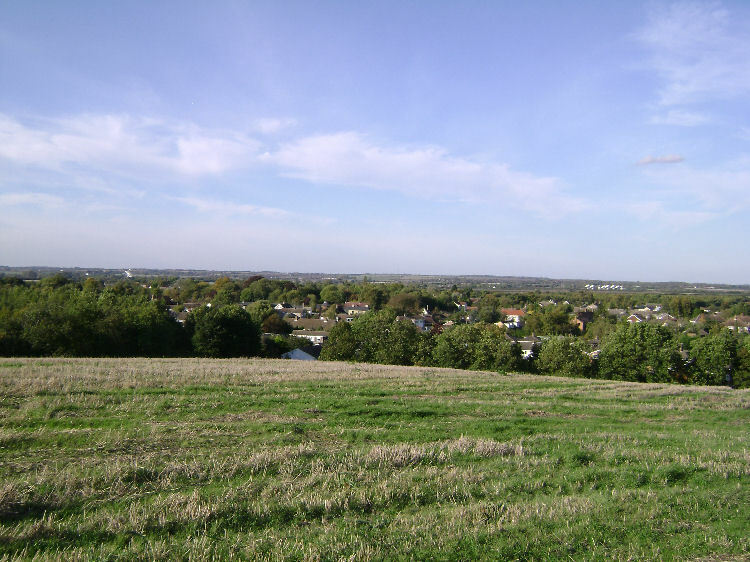 Magog hill is situated on the inner 5.15 circle and Magog down on the meeting of the square and main penta line. Next was Money Hill on the Royston/Denny Abbey axis main axis. 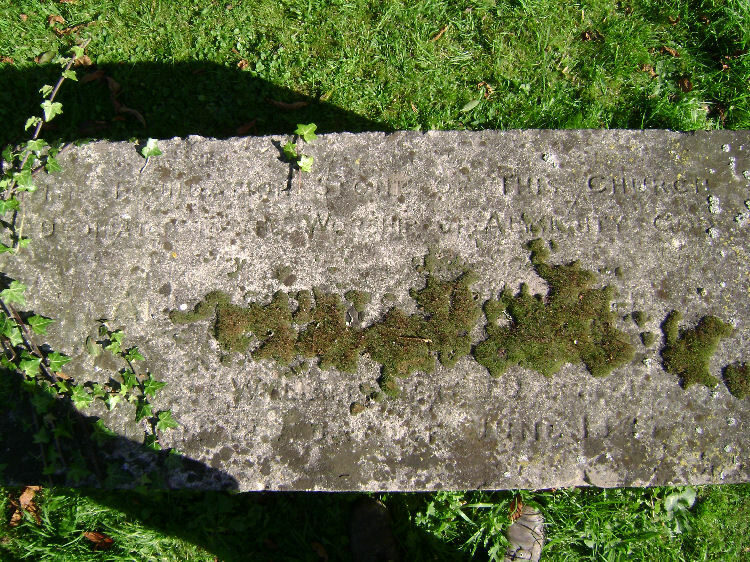 The Wilbrahams and Knights Templar site. There is some confusion with the labelling of the Wilbraham villages, some local people informing us that the OS map has got them the wrong way round…Little Wilbraham is Great Wilbraham and vice versa…please consider this when looking at the graphic which has used the OS for reference in the naming of the villages and was prepared before visiting the area and being corrected by the local populace. The naming of the villages does not affect the geometry of the churches involved, which are accurately positioned on the graphic at the top of the page. Using the roads of the OS map for reference it could be seen where the penta arm merged into the village a small Methodist chapel was located nearby….and a road junction. 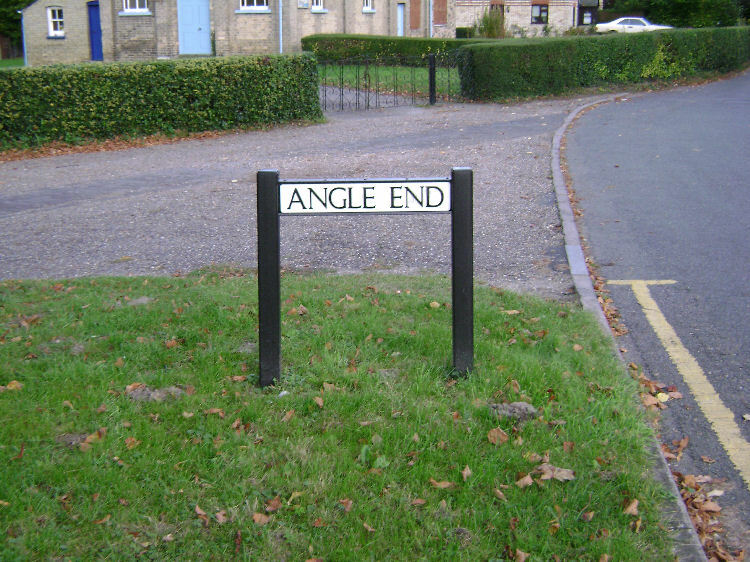 The location was called Angle End …..The lane started at the exact point of the end of the penta arm where also the square and circle cross. Angle End lane leads to the entrance of the Hall, which in turn leads to the site of the old templar settlement. The penta arm was indeed the Angle end.